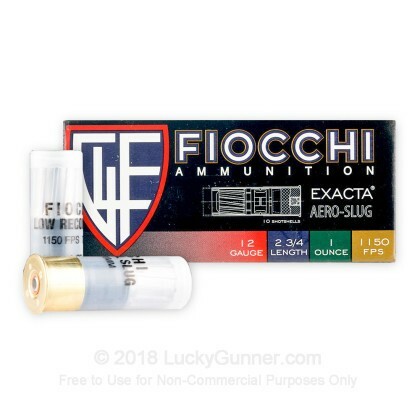 Fiocchi's Exacta Aero slugs feature a 1oz rifled slug that yields great performance and accuracy as well as low recoil for faster target acquisition. This shell features an attached wad that is designed to result in a more stabilized flight pattern and spot-on accuracy. 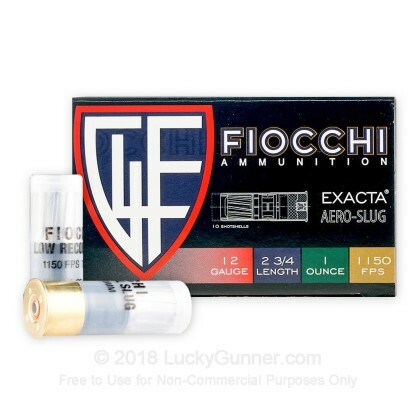 These shells are packed with Fiocchi's own custom powder blend and charged with a 616 primer resulting in reliable and consistent performance that you can count on every time you pull the trigger. For someone who is recoil sensitive, I was very impressed at how soft these shoot. I was able to shoot 1 inch groups at 25 yards offhand, and I am not that good a shot with my Mossy 500 yet. The recoil is very similar to the Winchester AA 980 fps "cowboy" load, which is also very light on recoil. I even made a 12 gauge convert from someone even more recoil sensitive than myself. 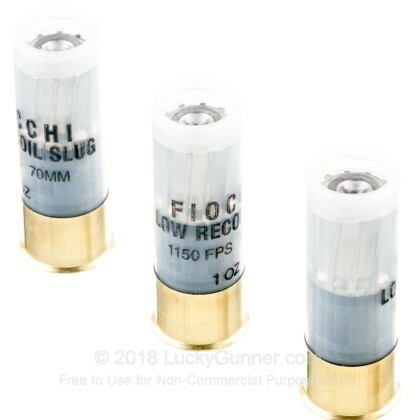 If you want to shoot slugs, but hate the recoil of most 12 gauge slugs, give these a try. I think you'll like them. 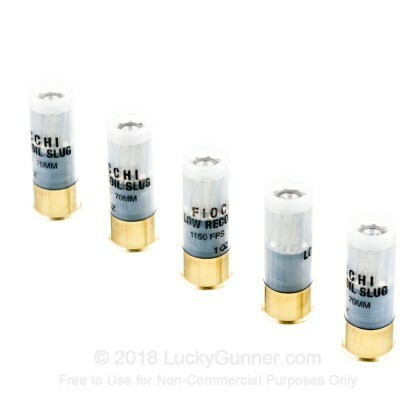 Can't really add much more than the box says, they are seemingly lower recoil than comparable slugs. They were easy to shoot out of my 590A1 and they make nice thumb sized holes in a 2x6. Very happy. Need to work on pricing though as currently the ammo panic seems to have died down and prices are following. Product and pricing aside, Luckygunner is the #1 best online ammunition purchasing location. Order by 3, have next day delivery. Every time. Can't beat that even with lower prices. Excellent service and product. 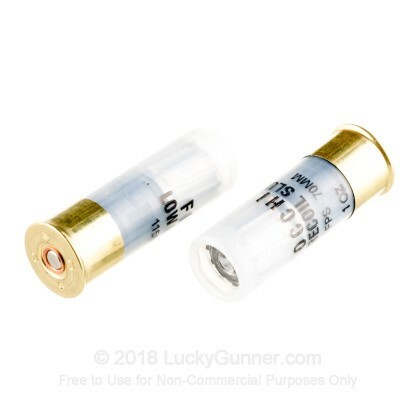 I recommend Luckygunner.com to all my friends. We also have this 12 Gauge - 2-3/4" 1 oz. 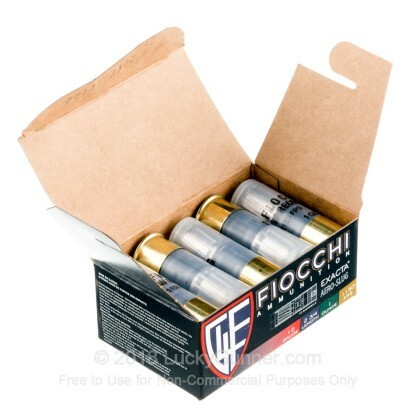 - Low Recoil Rifled Slug - Fiocchi Exacta Aero - 250 Rounds ammo in stock in a bigger quantity.